DPR have years of experience installing roofs to both commercial and domestic properties. Therefore, we know the myriad of benefits of doing so. A lot of the time people wait until a problem arises before replacing their roof. However, doing so before this occurs can actually save you money, or maybe even make you money, in the long run. One of biggest benefits of installing a new roof is the value it can add to your home. It is reported that the return on investment rates of a new roof is 75%, which is no small amount. Also, a new roof will likely be more thermally efficient that your current one. As heat rises, your roof is integral to your homes thermal efficiency. Therefore you will see immediate savings on your energy bills. 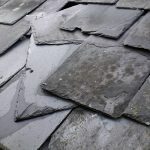 A new roof will also work perfectly, and will be leak free. The old saying of ‘prevention is better than the cure’ could not be more relevant than with roofs. Typically, by the time you are aware of a leak a huge amount of damage has already being done. This means expense far beyond simply repairing a hole. By installing a new roof you have guaranteed protection against this happening. There is also something to be said of the aesthetics of it. This is your home, your sanctuary. It is vital that you enjoy this building, enjoy being in it and looking at it. Roofs can change the appearance of your home a huge amount. With a new roof you have complete control of the appearance of it. At DPR we have a huge range of tiles to choose from, all of which have their own characteristics. Perfect for creating your ideal home. If you would like to know more about the roofing services DPR provide, or more of the benefits that a new roof have, give us a call on 0113 335 0043.